Outdoor parties are a great fun as they not just bring you out of the four walls of your home but also let you enjoy the natural environment. However, the only problem we face during the outdoor gathering is the absence of energy sources to power our music system or speakers. If you are a backpacker and love to party outdoors with your family and friends, solar powered speakers can be a great idea to rock your party and that too without leaving any carbon footprints. Here we have listed some of the best solar powered speakers that can truly charge up your party on a sunny day. 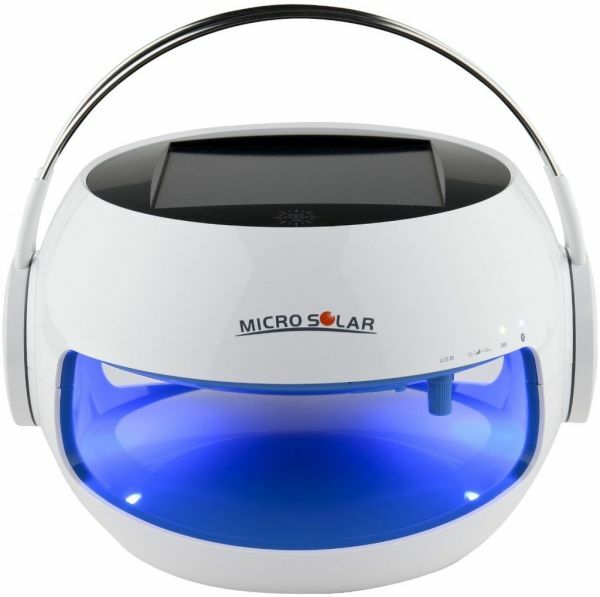 Connecting wirelessly to your portable devices, such as MP3 Players, iPhone, iPad, Android smart phones and so on, via Bluetooth, the MicroSolar B2 is an outdoor speaker that generates energy from the heat of the sun. Integrating a light on top to indicate the charging status, the high performance speaker also includes a micro USB port to keep it juiced up during cloudy days or at night. Offering quality sound for up to eight hours on a single charge, the flexible speaker is the right accessory to boost your outdoor parties. 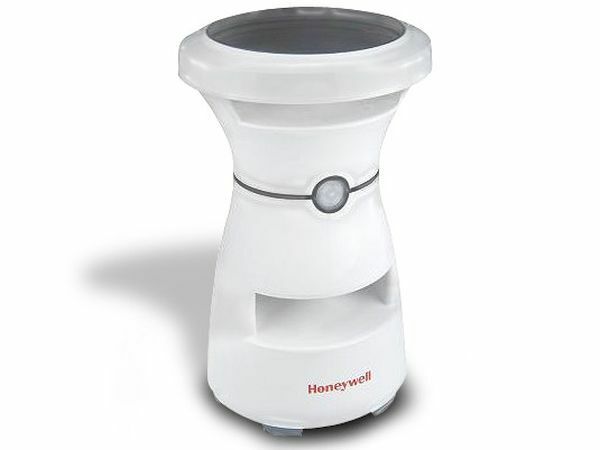 Offering quality sound and bass, the Honeywell speaker comes with built-in batteries that generate energy from solar panels located on top. Allowing up to eight hours of quality sound on a single charge, the weather resistant speaker lets you enjoy your favorite music anywhere, anytime. 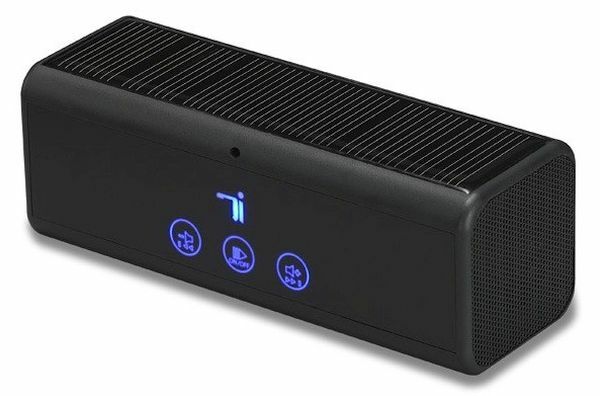 Compatible with different types of devices like CD players, iPods and, MP3 Players, the wireless speaker includes a single transmitter that connecting with several speakers can play the same song at various places. Featuring a weather resistant case, the Rock Out 2 Solar Speaker is a true companion for your outdoor parties. 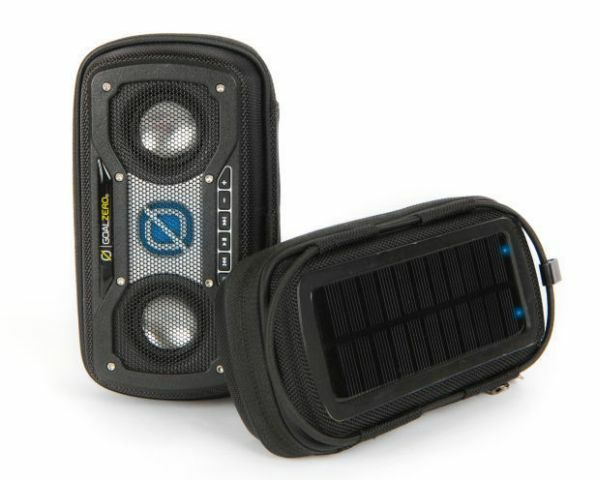 The Bluetooth speaker integrates strong solar panels for long lasting music on the go. Integrating a DarkBass chamber to ensure precise, deep sound, the solar speaker comes with 800mAh lithium battery to play your favorite music all through the day. Just ideal for avid travelers or trekkers, the Solar Sound 2 is a Bluetooth speaker that offers a clear, deep sound on the go. Connecting to a wide range of mobile devices like iPhone and other smart phones, the wireless speaker has built-in solar panels to generate energy from sunlight and play your favorite music nonstop in sunny areas. The Solar Sound 2 also include a 3.5mm connector to connect with portable devices without Bluetooth function. Solar powered speakers are a true companion of people who love to enjoy outdoor parties or excursions, as they not just let your play your favorite music on the go but also help in sustaining the environment.